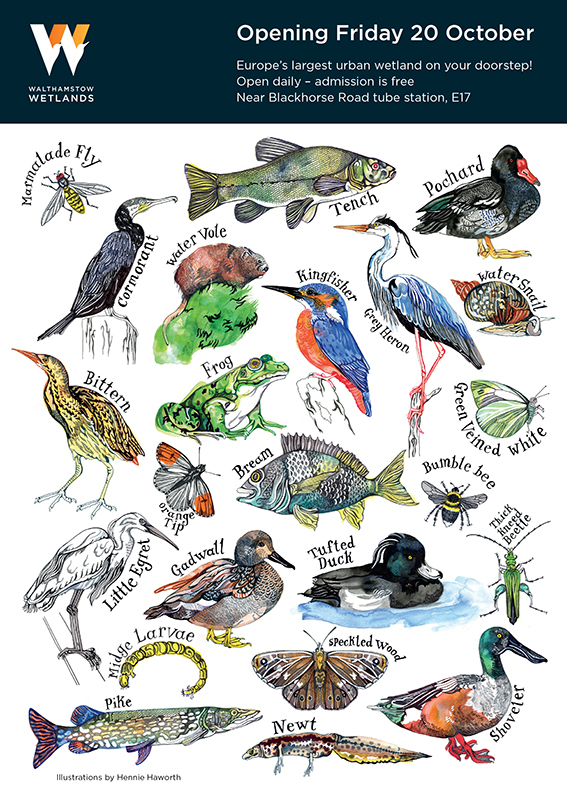 We love Hennie Haworth’s illustrations for Walthamstow Wetlands. Hennie was asked to capture the local wildlife in all its glory for this wonderful poster. Working with bright colours and line work filled with life, Hennie’s artwork celebrates nature in all its colourful glory. To see Hennie’s portfolio, click here. Hennie Haworth is represented by Meiklejohn. Published on 16 November 2017.